According to new research, maintaining food security till 2050 will require a shift towards more efficient diets and decrease in food wastage, if the environmental damage and greenhouse gas emissions that will result from the expansion of agricultural production are to be reduced. The paper, authored by a team of researchers led by the University of Cambridge, has been published in this week’s edition of the journal Nature Climate Change. The team investigated the environmental consequences of increased food demand. They modelled the potential for more intensive agricultural practices and food demand reduction measures and found that the increased agricultural output would be insufficient to meet growing demand. According to the Food and Agriculture Organization of the United Nations (FAO), world population is projected to rise by a third by 2050, or 2.3 billion people. 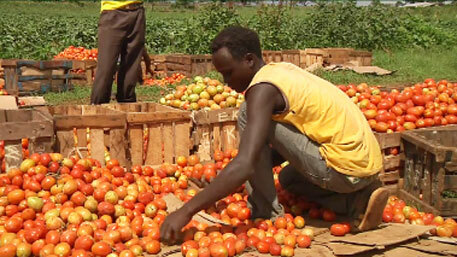 The increased demand for food resulting in this increase requires that current food production levels be increased by 70 per cent. Most of this demand will be met by increasing yields and cropping intensity and more efficient use of fertilisers, pesticides and irrigation. Agricultural land expansion is also considered vital in meeting this demand. As for South Asia, she adds, the yield has been improving remarkably, but the best land has already been cultivated. Therefore, although the demand in this region will not rise as much, potential to expand yield and cultivated land is small. Unsustainable use of groundwater in the area is also a major concern. To meet future food requirements, the team examined two possible demand-side changes: reduction in wastage of food, and changes in diets. “If we manage to implement the demand side measures we highlighted – halving food wastage, and let’s say, roughly half the per capita livestock products consumption in the industrialised world, that would be amazing and make an enormous difference to the environment. It would also make feeding the world a lot easier,” says Bajâ”¼Â¥elj. To have access of leafy vegetables to everybody I designed a system which is simple,innovative and occupies about 1 Sq.m space. It will cost around US $35 and can be made locally. The details will be made public shortly.